GRAIL! STUNNING English Shooting Jacket by Burberry, cut from Scottish Tweed. c. 40L. Discussion in 'Classifieds' started by tweedydon, Aug 12, 2018. This is absolutely wonderful! 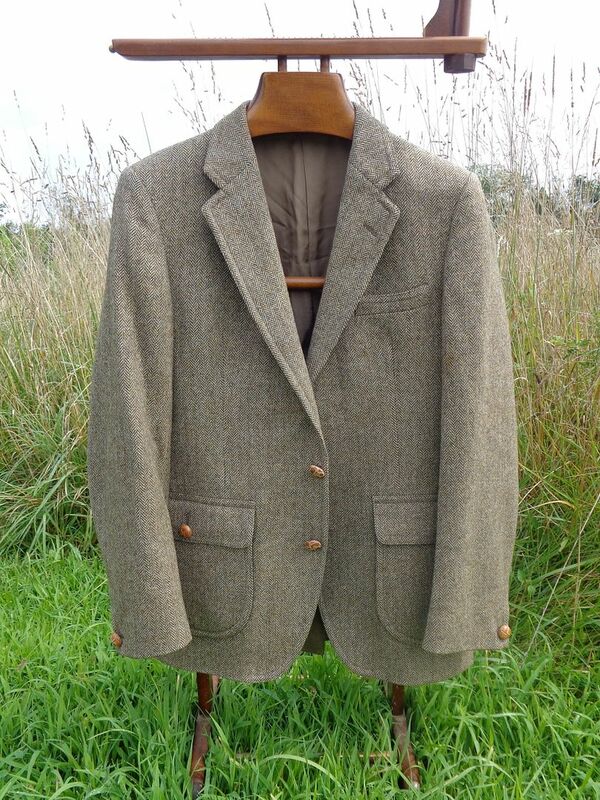 Made by Burberry back when they were making absolutely traditional and utterly first-rate clothing for British field sports, this is a truly beautiful classic English shooting jacket--perfect for going out on the moors after grouse! Cut from a mid-weight tweed in classic brown herringbone that was woven in Scotland, this beautiful jacket features two deep front patch pockets with a beautifully elegant rounded curve; the seams to these pockets are both roped and lapped for both form and function, and the flaps are secured by oversize leather-wrapped, metal-shanked "football" buttons. The right-hand pocket also features an interior pocket for tickets or small change. 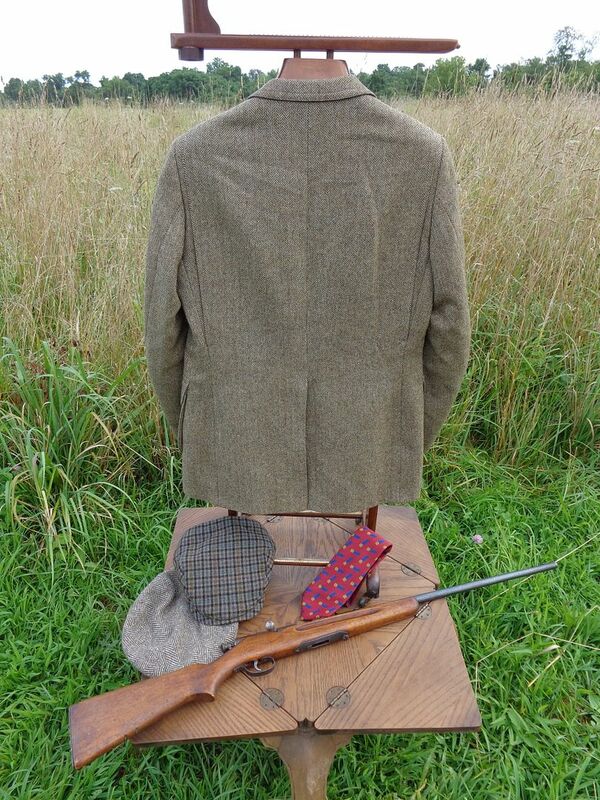 The jacket has a two-button front closure and subtle darts; it also features a bi-swing back for ease of movement while stalking deer or following grouse with the iron sights of your gun. The jacket has traditional English single-button cuffs with hand-finished faux-buttonholes; it is also fully lined and half-canvassed, and features a single center vent. It was Made in England. This does have some very minor marks on the left sleeve and under the breast pocket, but these are hard to see and blend with the tweed--and will likely come out with dry cleaning. There is also a TINY smudge on teh right sleeve at the underside of the hem. But, because they are (currently) there, this is in Very Good/Excellent condition. Asking just $75, or offer, boxed and shipped in the USA.